One of the key reasons behind the rise of Singapore’s economy, has been its success in positioning itself as a key trading and business hub for the region. In fact, the Republic has consistently topped the World Bank’s Ease of Doing Business rankings, with companies and professionals being able to carry out their work with the most minimal of fuss. 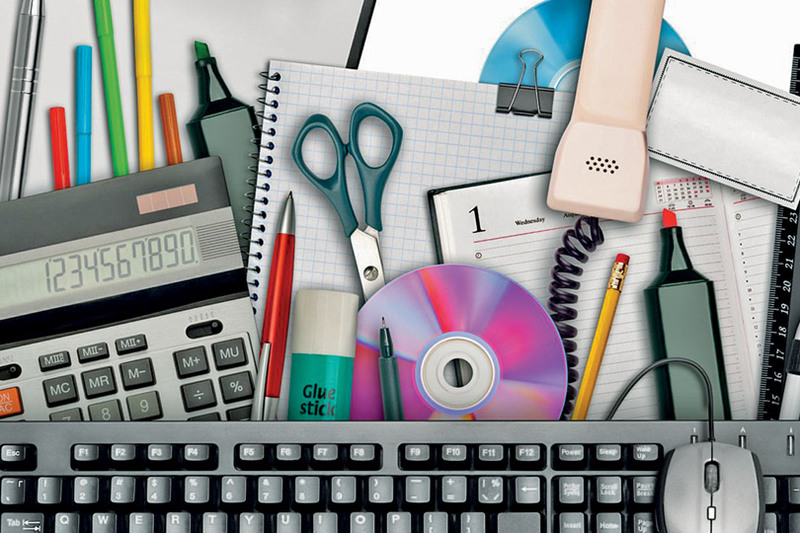 With Singapore’s corporate landscape a bustling scene of multinational corporations (MNCs), small and medium enterprises (SMEs) and startup companies, there is certainly a strong demand for office supplies and equipment. This runs the gamut from corporate stationery and paper supplies, to printed documents, digital printers and photocopiers. Indeed, the modern office is becoming increasingly sophisticated, with the introduction of new digital technologies and equipment to complement traditional corporate office paraphernalia. Over the years, Singapore companies have seized on the growth opportunities in the domestic office supplies sector, while also exporting their products and expertise to overseas markets. Speaking at the Singapore Gifts and Premiums, and Stationery and OfficeLink Fair in July 2012, then Minister of State for Trade & Industry Teo Ser Luck shared that the global stationery products market is set to reach US$155.4 billion by 2015, driven by factors such as technological progress, rising levels of literacy, growing population, as well as a demand for licensed products. Amidst the intense competition domestically and internationally, Singapore gift and stationery companies have had to constantly innovate with new brands, products, services and business models to stay ahead. For one, many corporate stationery makers here – big and small – have fully embraced online commerce as a way to expand their sales channels beyond traditional retail storefronts, while gaining exposure to overseas markets. In order to help traditional local companies make the transition into the new digital economy, the Singapore government has been actively support them in the development of new capabilities in areas such as brand building and online retailing. One notable success amongst corporate stationery firms here has been the new brand from established corporate stationery maker Grandluxe. Grandluxe was able to successfully tap on funding from SPRING Singapore’s Capability Development Grant (CDG) to work with brand consultants in developing the concept and identity of one of their brands. The industry is also committed to raising its profile as a whole, competing against regional players such as Hong Kong and China. The highlight event of the year for the industry is undoubtedly the Singapore Gifts and Premiums, and Stationery and OfficeLink Fair (SGPFair), with the next edition set for 29 June to 1 July 2016. The show is also held in conjunction with Office Expo Asia (for office & business solutions) and PrintPack+Sign (for printing, packaging and signage solutions). In 2013, the event saw a record-breaking 10,000 plus visitors across three days. Of the 158 exhibitors then, close to 60 per cent were local exhibitors with the remaining overseas participants. The events are supported by the Singapore Booksellers And Stationers Association (SBASA), Promotional Products and Giftware Association (PPGA) and Small and Medium Businesses Association (SMBA), among many other local business groups and trade associations. According to their organisers, SGPFair and Office Expo Asia are the region's leading platforms for corporate buyers sourcing for gifts, premiums and office solutions. Besides office supplies and equipment, another common sight in offices around the world are printed documents. Ranging from administrative forms to annual reports to financial documents, the range and volume of printed material produced and received by offices are tremendous. And while the rise of the digital economy has reduced the amount of paperwork in many instances, there are still industries that require printed output such as banking and finance, as well as listed companies. In fact, Singapore’s status as a global banking and finance hub has kept Singapore’s printing firms flourishing, with their need for compliance and regulatory requirements mandating the use of printed documents in many cases. Based on the United Nations Commodity Trade and UN Service Trade annual report for the year, Singapore was in fact the world’s third-largest exporter of printed matter in 2013. In all, the Republic accounted for 8.9 per cent of the global printed matter exports, with a value of US$4.6 billion. To stay competitive, local printing companies has embraced innovation and new technology to stay ahead and remain productive. For example, new advances in printing technology has created an opportunity for boutique presses or specialised publishers, capable of printing small quantities of materials on demand. The capability to incorporate computer technology into the printing and production process, has also allowed for greater automation, enhancing overall productivity. To help the printing industry remain strong and competitive, the government has also been stepping up its support for training. In June 2015, the Print & Media Association Singapore (PMAS) received funding from IE Singapore and SPRNIG Singapore in the form of the Local Enterprise and Association Development (LEAD) programme. This joint initiative helps in the setting up of a training academy to further elevate the competitive of the sector. This training institution is set to commence operations by the end of 2015, helping the industry to cultivate new talent and current print professionals upgrade their capabilities. Beyond this, there has also been active collaborations between PMAS and public sector agencies to attract young talent to the industry and promote ways to enhance productivity. Singapore’s office supplies sector looks set to continue to advance and grow, supported by the strong business fundamentals of its corporate landscape, as well as growth opportunities in the region and beyond. The Singapore government and trade associations are also actively taking the lead in terms of guiding and driving individual companies in their transformation and development, and this will be a significant factor in the continued success of the industry.